EVENT DATE: Monday, December 29, 2014, 2:00-5:00 p.m. Calling all Good Karma Gardeners! 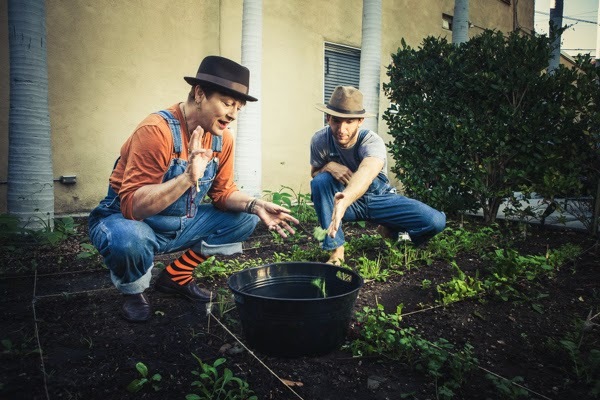 In the spirit of holiday giving, join us at the nonprofit Beit T’Shuvah to jump-start their organic therapeutic garden program for the winter season. Volunteers at Beit T’Shuvah, a residential treatment center for addiction, started the garden in the summer of 2013. It has provided a super positive way for the residents to learn about healthy food, growing organic, and building community. Be part of this wonderful evolution in urban farming! Be sure to dress for the weather. Bring some layers, a hat, and a reusable water bottle, and gardening tools if you have them.